Justin Crossley is married to wife Breana and they have two kids; Alissa and Dylan. Born and raised in Western Washington he grew up fishing anything that would bite, and hunting black tail deer using rifle and muzzle loader with his dad and brother. Some of his fondest memories are those where he explored the wilderness and learned about hunting and fishing. As he got older his passion for the outdoors grew and he started hunting everything from upland birds, to predators, to any big game animal he could get a tag for. He has had the privilege to have friends and family who enjoyed the outdoors like he does and has made priceless memories with them on many trips. Justin’s kids have both been raised around hunting and fishing, and son Dylan recently killed his first deer at age ten. 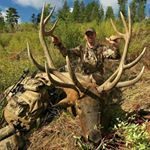 Justin enjoys every type of hunting and will hunt archery, rifle, or muzzleloader to extend his hunting season as much as possible. 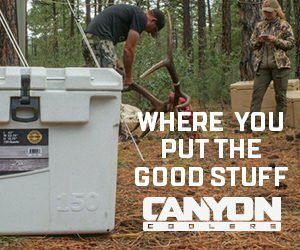 His favorite hunts take place in the backcountry with camp on his back. He has learned to hone his craft in long range shooting, archery, and reloading. He always strives to learn more and improve himself as a hunter. Justin has always had a passion for helping others expand their knowledge and love of the outdoors.